Hard to believe that another year has already passed us by, and what a year it’s been. We’ve shared some ups and some tragic downs, but we’ve done so as a community, and we should take pride in that. CCP has been a brilliant part of our Christmas fun thus far, what with the return of snowball launchers ingame and gorgeous festive WALLPAPERS. I can’t wait to see what else is in store. On a personal note, I’ve had one of the busiest years of my life. 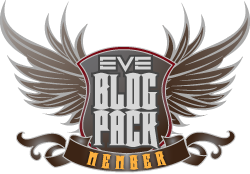 Some major triumphs, some challenging hurdles to overcome, but I am thankful for every blessing I have, including the never-ending support and inspiration I receive from the EVE Online community. You keep me going, and I love you for it. In what little spare time I’ve had over the last few months, I’ve been working with my brothers of the TLF Marching Band to put together this year’s Christmas album. I don’t know if it’s a tradition I could keep up with on my own. It takes a lot of work! To be completely honest, it was mostly them this time round – a few power recordings sessions of vocals, me cleaning it all up and mixing it together, them helping to fill in the gaps we missed not once, not twice, but five times. Audio production is no small task. Still, I think it turned out well. What do you think? You’re listening to it right now. Last year’s Christmas in New Eden album came in at just over 20 minutes. This year we’ve gone above and beyond, delivering over 40 minutes of festive goodness. So head on over to Soundcloud and download Christmas in New Eden 2012 – ABSOLUTELY FREE. My gift to you. Merry Christmas, New Eden. May we always be there for each other. If you could default that Soundcloud widget to not playing by default, that’d be swell. I think I lost a few decibels of hearing. Unfortunately there is no shortcode for volume control currently. Thankfully, I didn’t start this album off with anything really loud. I appreciate your comment and am sorry I hurt your ears, but want people to hear it. If I get more negative feedback, then yes, I’ll turn off the autoplay. Well, you literally took me by surprise. I had about a trillion browser windows open. Scrolled a bit down in my WordPress overview of abo’ed stuff. Still there… Found your stealth music. Laughed. I like it. Bit cheesy at times, but take that as a compliment from someone who doesn’t like Christmas in general. Have a great 2013!